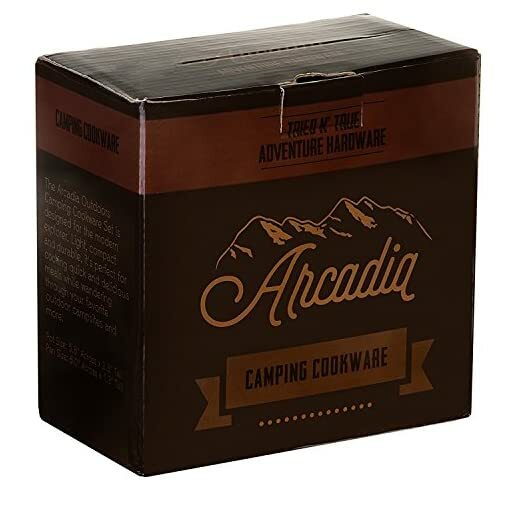 The Arcadia Outdoors Camping Cookware Set is designed for the modern explorer. 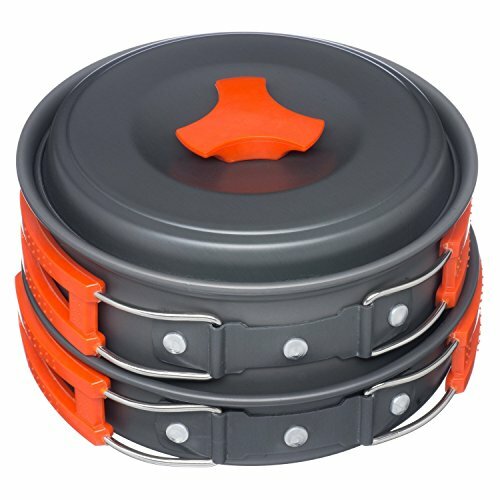 Built with durable and lightweight anodized aluminum, the cookset is perfect for cooking quick and delicious meals while wandering through your favorite outdoor campsites and more. 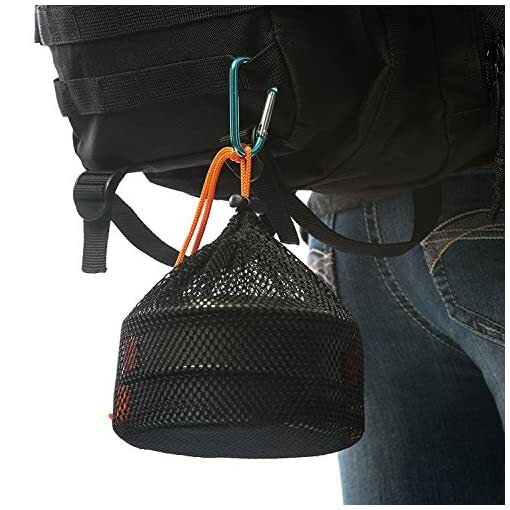 The entire set folds portably into a easy-to-carry nylon drawstring bag. It’s so light you’ll never trek the woods without it! 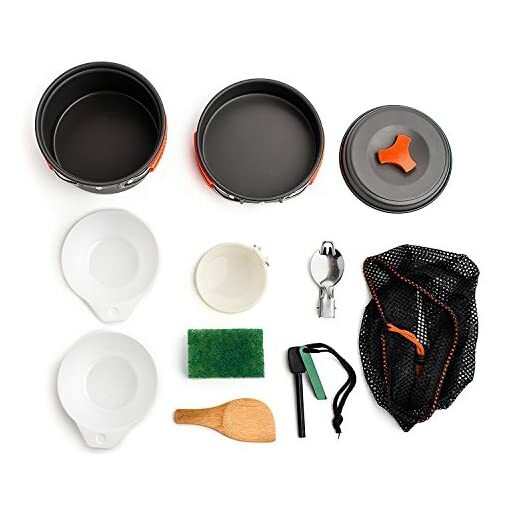 Each set includes: 1 nonstick pot, 1 nonstick frying pan, 1 pan cover, 2 bowls, 1 soup spoon, 1 bamboo handle spoon, 1 cleaning loofah, 1 nylon bag, 1 foldable steel spork, & 1 firestarter. 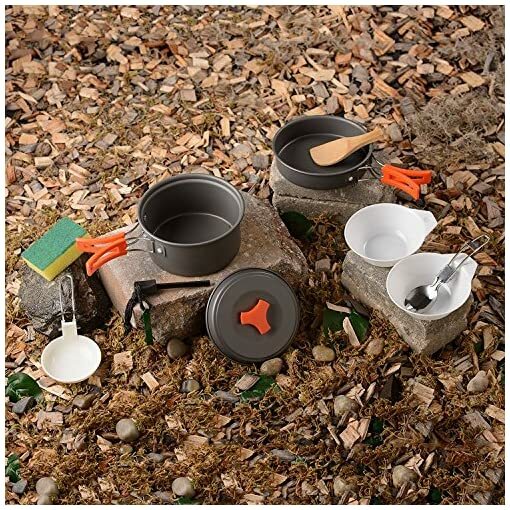 FOR THE MODERN EXPLORER: Whether you’re at a campfire, tent, or sitting under your canopy, our cookware equipment is the perfect survival gear addition to your adventurous outdoor backpacking travels. 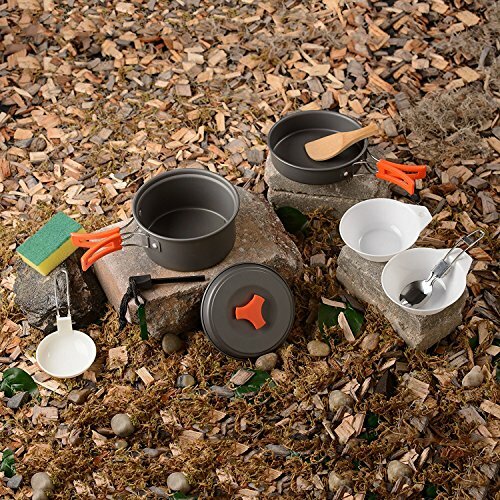 The mess kit heats quickly and is built to last for any outdoor affair. 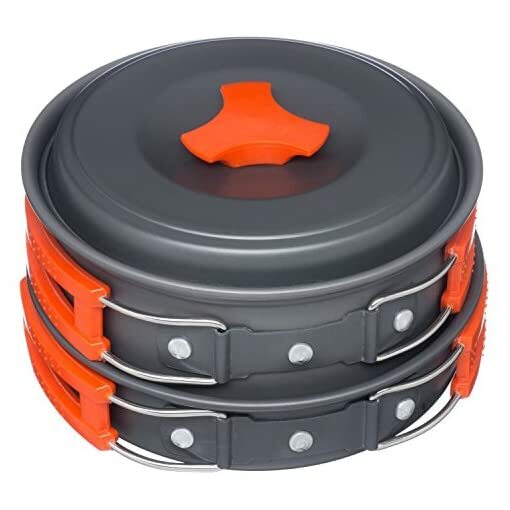 CONVENIENTLY COMPACT CAMPING COOKWARE: Made from anodized aluminum metal, the lightweight cooking set conveniently folds into one single bundle. 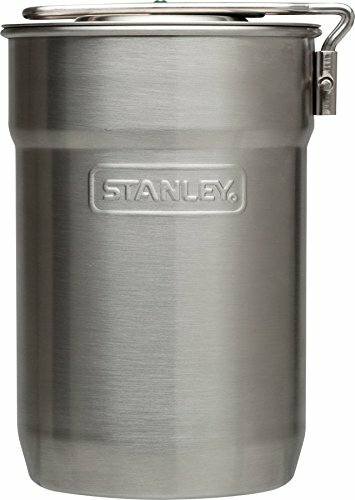 At less than 14 ounces, reduces bulk and is incredibly portable, making it easy to carry around. SAFE & DURABLE GEAR: Cook safely! 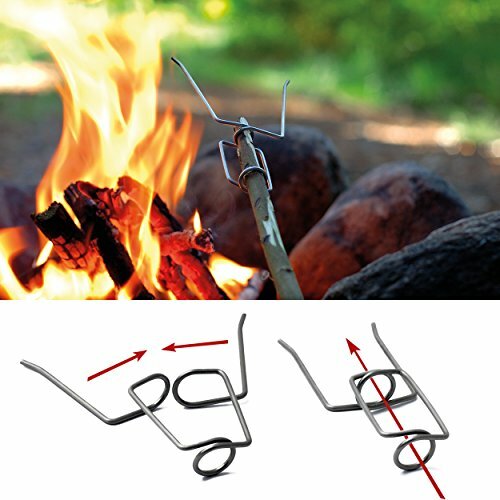 The Arcadia Outdoors camping cook set is 100% non-toxic and FDA-Approved. Each camping pot accessory is BPA free, waterproof, and built to withstand long-term use. 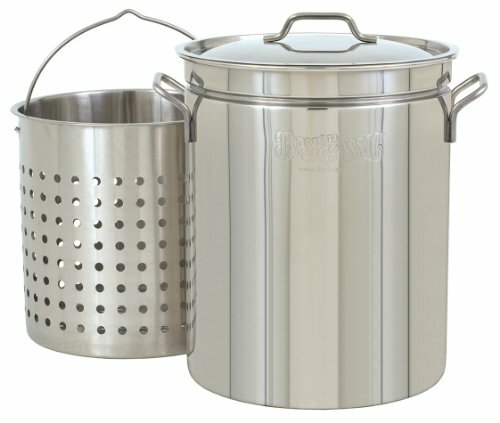 Included with the pots are safety handles to prevent cooking burns and other mishaps. 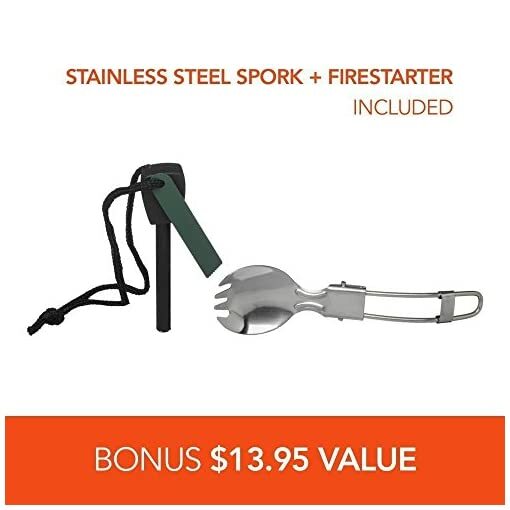 BONUS: FREE firestarter and spork included. 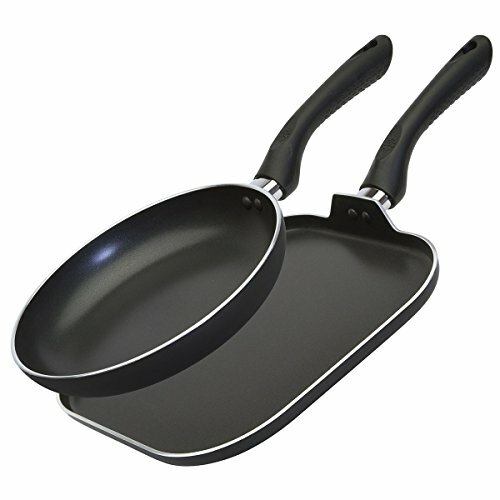 11 PIECE COMPREHENSIVE COOKING SET: A complete cooking set full of utensils and accessories! 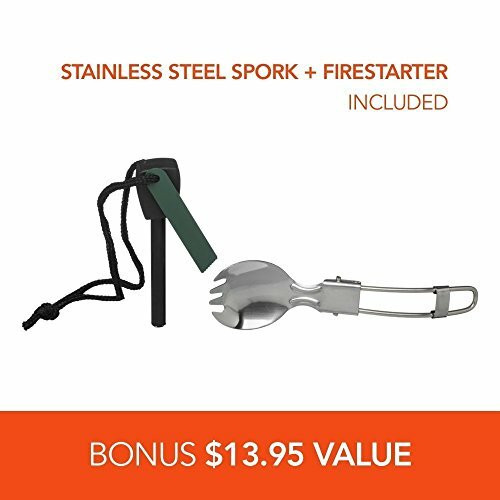 Includes 1 nonstick pot (1 liter Capacity), 1 nonstick frying pan, 1 pan cover, 2 bowls, 1 soup spoon, 1 bamboo handle spoon, 1 cleaning loofah, 1 mesh bag, 1 foldable steel spork, & 1 firestarter. 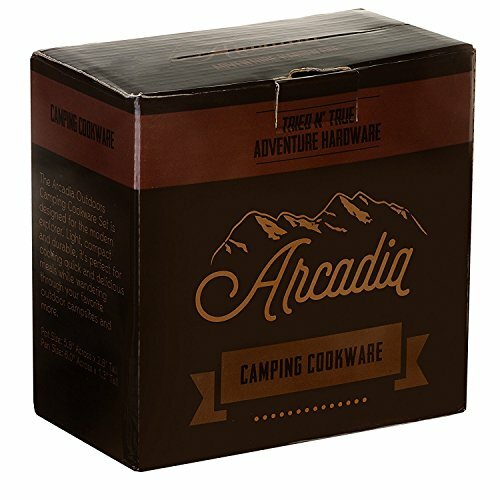 LIFETIME GUARANTEE: We are so confident in the quality of our camping cookset at Arcadia Outdoors that we offer you a lifetime guarantee. 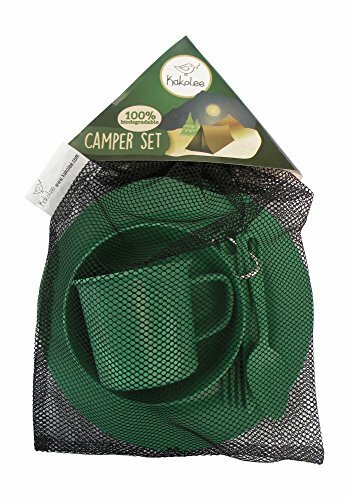 Whether you’re an adult backpacker or buying a set for your boy scout or girl scout, you can try it risk-free. 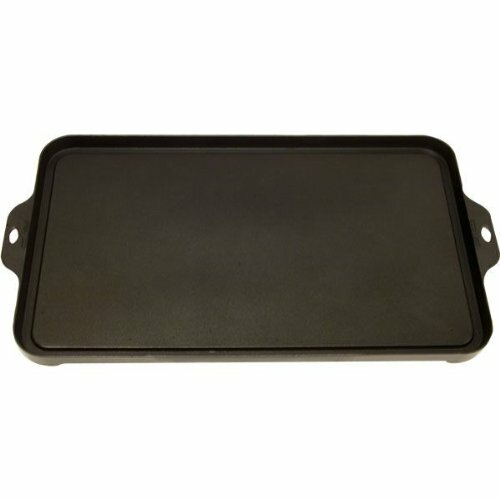 Our factory warranty is only available from the authorized seller Meal Prep Haven. Reach out to us if there’s ever anything you need; we are dedicated to your satisfaction. 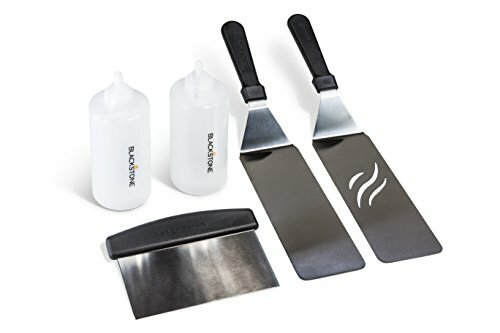 Blackstone 5 Piece Professional Grade Grill Griddle and BBQ Tool Kit with FREE GIFT – 2 Spatulas, 1 Chopper Scrapper, 2 Bottles for Condiments or Water or Oil and A Free Cookbook – Great for Griddle, Grill and Flat Top Cooking in the Backyard, Camping, Tailgating and Everywhere. 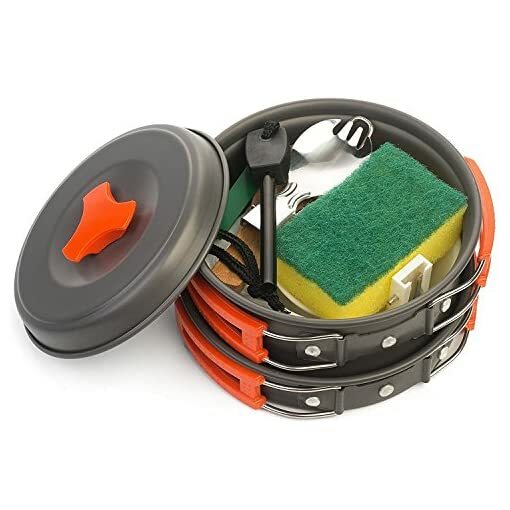 Camp Mess Kit. 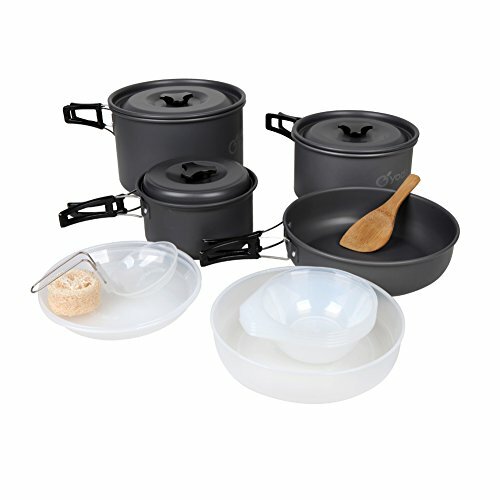 Premium Eco-Friendly, Bamboo Fiber, Biodegradable Portable Outdoor Tableware Dinnerware Set. 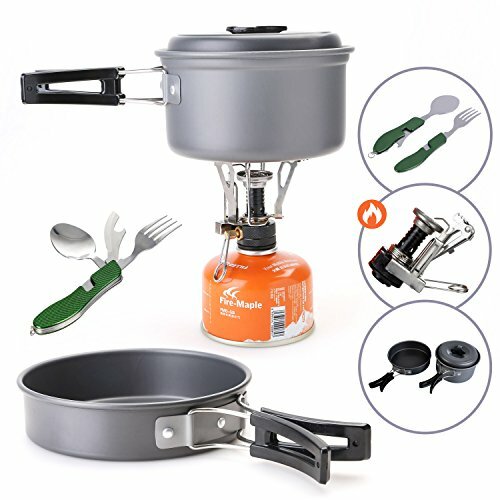 Lightweight, Practical, Perfect Camps, Family Vacations, Hiking and Backpacking.